The performance in Kuwait and staying with the family there was pretty nice. Got to know some good people and someone said, Kuwait paakka paakka dhaan pidikkum. Paatha udane pidikkaadhu. The roads are great and I was impressed to know that basic food is kept very very cheap so that the poor can still afford it. Wish something like that was there in India. Here the Aam Aadmi and the not so Aam Aadmis will have to pay 120/- for a kilo of pulses. After a point in time, we being who we are, we get used to what we have around. As humans we can live with the bare minimum and in opulence. I liked the fact that there is no water shortage there due to desalination processes. If they can, I wonder why we cannot. I didn't have time to go around but I did have dinner at Pizza hut. I liked the weather there too. It was bearable. From there to London, first day was OK. Day 2 was freezing. I landed in London and went straight to the hotel we were staying and to the rehearsals that were happening. Hectic activity there and butterflies had started off in my stomach big time. After rehearsals, I had enough time to get ready and leave to the BAFTA. One of the most interesting things about the event was the formal dress code. Something that is not seen at an audio launch here. And as Shreeni sir said this is something that almost never happens and we should take pictures of it as proof. I had never seen Shreeni sir in that sort of formals before. Or most of the other singers. Stephen Devassi looked pretty good I thought and Silambarasan was a revelation. Once at the BAFTA it was quite an experience. Gautham sir hosted the event. He has this wonderful sense of humour and the way he presented the event was sparkly. Three of the songs were presented to the audience there and I loved Hosanna the most. You might have to wait a while before you hear the songs though. The song to look out for in the album is this one sung by Mr Alphonse, a music director in Kerala, for whom I have also sung. He has sung this song called Aaromale magnificently. There is this song, Mannippaya with Shreya Ghoshal and Rahman sir. Deadly lyrics by Thamarai. I have always loved her writing, but I loved this song the most for the lyrics. There is Kannukkul Kannai from Naresh in his usual best. Devan and I have sung Anbil Avan. Omana Penne has Benny singing it and this song hooks on to you. Karthik has sung the title track of Vinnaithaandi Varuvaaya and this song and Mannippaaya are Devan's favorites in the album. That Devan plays the guitar was a revelation to me. And he plays it so well. He told me that he always only wanted to be a composer. Singing came by chance. He has done some great work in his upcoming Bale Pandiya. Had the opportunity to listen to a song of his. Blaaze anna has this amazing rap portion in Hosanna. I have always loved his performances and have admired his work. I really wish to work with him soon. Its tough to say which song I like most. But Hosanna just doesn't get off my mind. Just a few more days and I guess you should be able to hear this one. I am sure the BAFTA event will be telecast soon. For the rest on what happened, watch it on the telly. A couple of us along with Thamarai caught this sightseeing Bus that went around London. It was freezing and my hands felt like ice despite the gloves. We walked along Harrod's and then Oxford Street. But just didn't have enough time for the Thames. It was also strange that it got dark by 3 in the afternoon. It was great to get to know the Art Director Mr Rajeevan and the editor Anthony. I spent considerable time with Thamarai too and she always referred to the gloves as "Kai Orai". And perhaps I should have recorded her speaking in English. It doesn't happen very often. Thamarai is an engineer for those of you who didn't know and she was saying she used to think up songs while at work. Later on the 20th evening, Shreeni Sir, Shivakumar, Blaaze anna, Benny and I went off to watch Avatar at Odeon. Loved the way the movie was made. More importantly I loved the ads that were screened before the movie. What creatives! I started getting uncomfortable with the 3D thing after a while. Had a dull headache happening. Thereafter we had dinner at this wonderful restaurant called Rasa and met the man, Mr Das who has 10 such restaurants all over London. I had this incredible Mampazha Pulissery there. Wow. I had never had the chance to taste it before. The next morning, just enough time for breakfast scooting to the airport. I got to know most of the people from Mr Menon's team and it is a super fun group. I am thankful that I get opportunities like this. Being at the BAFTA was something I didn't think would happen. Not this soon at least. And to be invited to be a part of an audio launch in a different country is new. As I have said before, singers are not invited to the launches in the city. Quite a rarity. It was a lovely experience and I really do hope I get to go back to London when it is warmer. Personally it was a great time for introspection too, something I am doing quite a lot these days. To watch things happening. To know my belief systems and thoughts. And both Kuwait and London were silent enough for that sort of inner tuning. To you, who has read this post until now, I wish for you that your dreams get ahead of you, as they have with me at times. May your farthest dreams come true and may you have experiences that you had not dreamed could have happened to you. Good ones that is. May you have moments to cherish, moments to love, moments to live completely, as I have had. Looks like we have missed a nice evening. A bunch of us here in London were trying really hard to make it for the occasion but couldnt :o(. We would have made inside if only we knew the venue. I wonder how the organizers were able to keep the venue very confidential. Naangalum evlo try pannom, mudiyala.. uff.. so we gave up thinking avanga koduthu vechadhu avlo thaan nu. Eagerly awaiting AR's score for this one. I am sure its gonna rock. And hey.. I wanted to say this sometime back.. But it got missed out.. I like the way you end u'r post! with the Thathaasthu... it's very good.. a kind of hope hangs there.. which is a good feeling! Makes all u'r posts worth reading..
thats nice to know u had a gr8 time in Kuwait and London...OMG when wil i get the songs...? And i like Ms.Thamarai referring to gloves as..KAI URAI. Actually i too long back started to use tamil words for simple things like...vanakam (for good morning/evening) .kosuvirati(for all-out or somekind). And...thanx for the wishes and have a happy holiday. Thanks for sharing with us your experience on the audio launching and also some partial review of this album. Cant wait for VTV release here in Malaysia. I am sure Rahman Sir ll recreate his magic back in tamil songs from this album. Follow this to avoid headaches watching a 3D movie. Love you blog. Rock on. The AR Rahman foundation calendar was awesome. Hi chimayi at last u have surrendered ha abt kuwait.yes lots of fun and entertainment is thr not comparatively to chennai & bangalore.here everything is indoor, if you c outside ull feel like living in desert.but wat you said is correct abt womans they have to live in and around in the place whr they live.not that much vast than chennai its a small country,small than chennai but under control u kno.do you remember in back stage, i came to ask, y u blog like this!suddenly ur face changed, so i didt tell anything.anyways u have njoyd n london with legends.Heard two songs very good.Always AR is best. 'If they can...why can't we'...your question about Desalination ! India cannot /willnot - Because of the corrupt system. Same applies to the low cost of food etc. oh a review almost from the singer herself ! One of the first i believe ! There is this Rap bit that is available in Youtube from Hosanna ... i have downloaded converted to mp3 and i am playing that again and again... just a 30 sec bit ! and i see what you are saying ! I just hope there is a day when fans are invited to the audio release .. like a theatre evening is chosen and sell the tickets. That way a producer need not pay for the theatre, theatre gets a show houseful and ofcourse we get the satisfaction to be on an audio launch of rahman's ! U didn't say anything about your interaction with Rahman. Did he sing too? Your last sentence means a lot. Hope god gives you more joy and prosperity. I felt the inner peace and reflection of myself when i was in Kenya and Scotland especially. Great writing.. write about our master ARR. saw the pics of the audio launch...looks fantastic...you look pretty tall in the pics...do you mind telling your height? Good to hear from you about your experience in BAFTA. I am waiting to listen to all the songs from the movie. And Thanks for your wishes. What does that Thathaastu mean?? Good post. I find London very intriguing as well. Thanks for sharing London trip moments.Let we hope & wish songs of "Vinnai Thandi Varuvaya" including Anbil Avan become superhit. AGAIN IF YOU PLAN TO VISIT UK PLS. SPARE TIME TO MEET BBC TAMIL OSAI / INDIAN BROADCAST TEAM MEMBERS SINCE YOU ARE ONE OF A RJ & CELEBRITY SINGER . Really enjoyed reading your post !!! I felt like my sister is writing a small letter to me describing her experiences. Waiting to have my hands on the VTV CDs. Thanks for the wonderful wishes and surely I will take your advise to dream big and work hard to achieve our dreams in life. I really moved by the last stances of your London blog. Its too good to read ones whole hearten wishes . Thx for sharing the VTV experience in London. Just cant wait to hear the songs its been such a long wait. I am hoping that the audio launch is telecasted soon. It will be great if the audio launch is released as a special feature in the DVD of VTV as well. 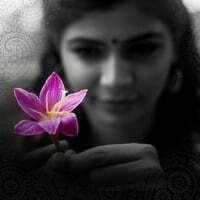 A lovely post, as always Chinmayi. Why dont you please give us a see of you in formals? Please post some snaps. Did rahmanji came to the function?? Eagerly waiting for Vinnaithandi songs.. When s the audio launch in India on Jan 2nd or 10th ? Really you are blessed and lucky to perform at the BAFTA venue..
Would love to hear more songs from you. Wow! I could feel your excitement in every line of this post! Sounds like an awesome performance! Could you post pics of all of you in formal wear? I am sure you all looked & sounded great! All the best for the New Year! Hope all your dreams come true! Wishing u a happy new year!! I love the way you have arranged your blog. I had a similar experience of having "the dreams get ahead" as I got to go to Oxford University (although as a visiting student). I was in England when the Music launch was taking place and was wondering if we could get to listen to the songs anytime soon. Now that the music is out, I can't agree with you more that Hosanna just "doesn't get off the mind." A friend of mine thinks you are at your best in your rendering in "Anbil avan.." But I disagreed because Kannathil Muthamittal, I think, is your best. Your voice was too good in VV.I liked it. Keep it up.